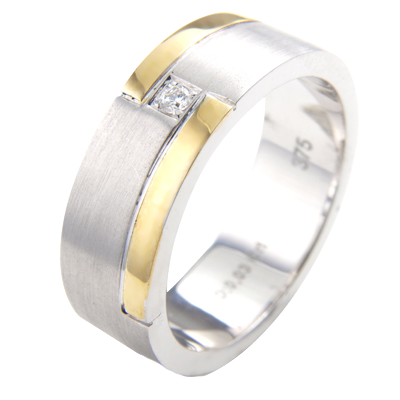 Two tone gold gents wedding ring with princess cut diamond in the centre. 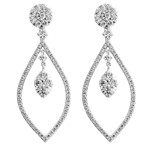 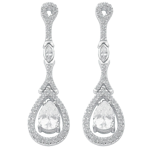 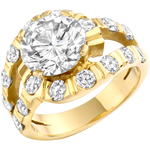 The yellow gold has a high polish and the white gold is matt to create a contrast of finishes. 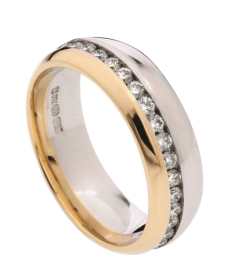 A two tone gold gents wedding ring is a great choice for a groom who is undecided which colour of wedding ring he prefers. 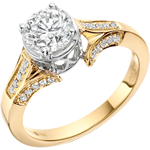 The white gold and yellow gold combination looks wonderful together as they work in contrast. 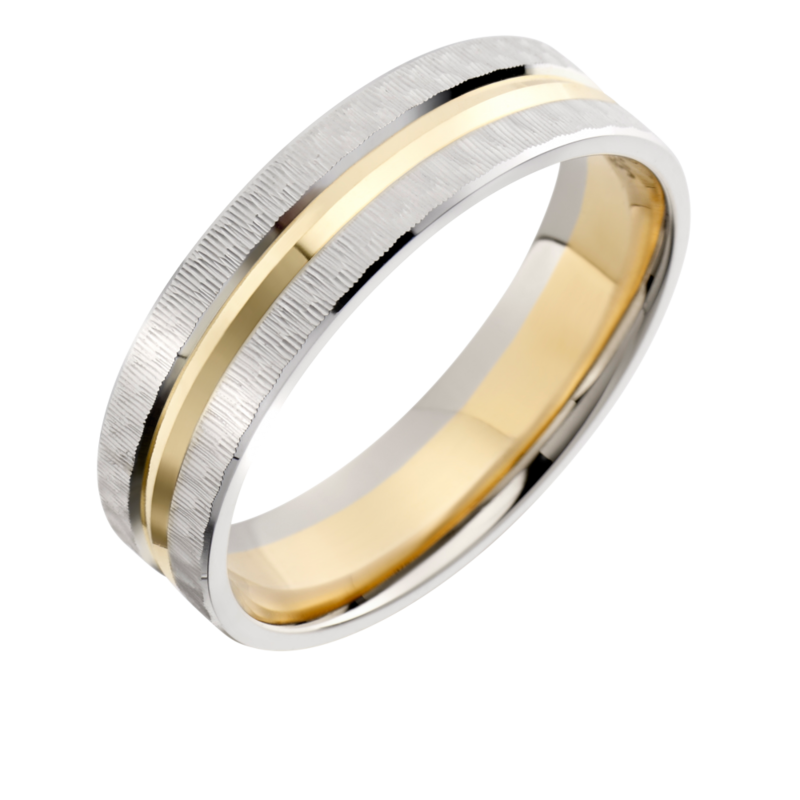 In this ring the yellow gold has been given a high polish and the white gold has been given a matt finish which further highlights the contrast in the metals and adds an extra design feature to the two tone gold gents wedding ring. 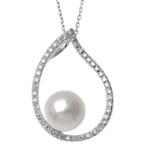 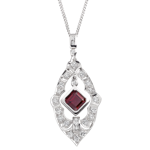 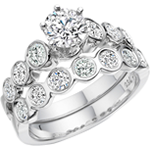 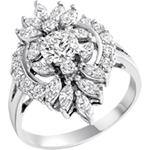 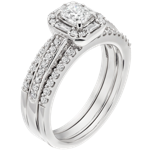 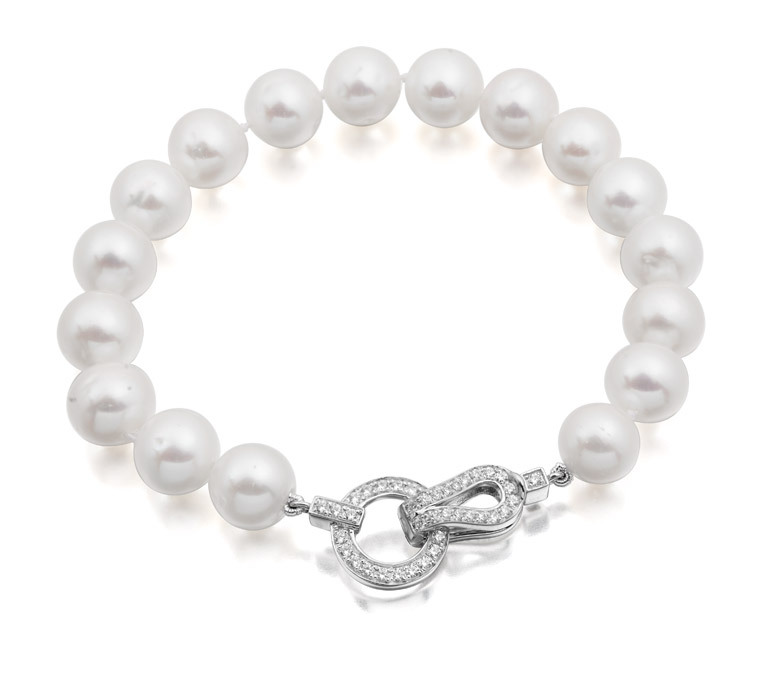 The diamond in the centre add an extra little bit of luxury to an already stylish band. 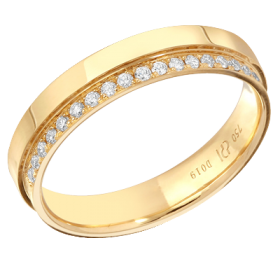 This two tone gold gents wedding ring is a fantastic choice as it doesn’t restrict the man’s choice of watch. 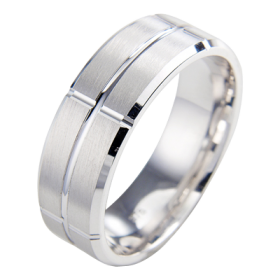 Having the two colours of gold in the ring means that a stainless steel, two tone watch or a gold watch will look very dapper with this ring.